Ghada Abdel Razek gambles her reputation away... again... *yawn*! Egyptian actress Ghada Abdel Razek is living the high life while her critics sit behind their computer screens and focus all their energies on getting pi**ed off with her. How many times have we heard that one before? 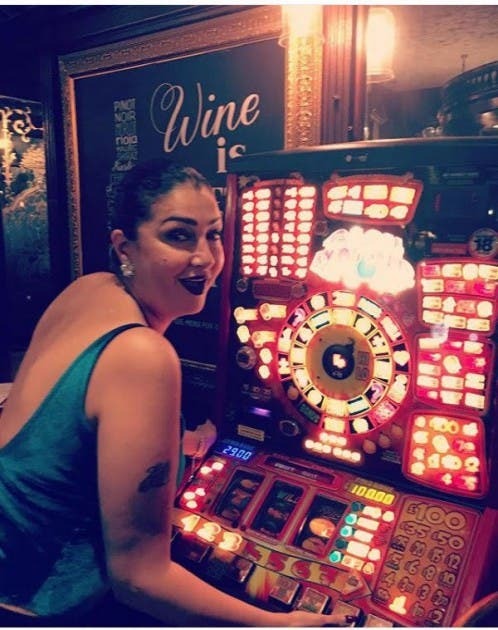 Ghada's conservative fans are mighty mad that the daring diva posted a picture of herself with a fruit machine. That's American for slot machine. Gambling is forbidden in Islam, and being a Muslim woman who has even been to Mecca before, Ghada's fans weren't impressed with her decision to make her gambling public. What will Ghada get up to next? Gotta keep an eye on her Instagram page for that, oh angry ones!